I want thank you all for your support and your openness in my last post. I appreciate every word of encouragement and kindness. I am working through it and will respond to everyone personally. I hate to see others hurt. So, to all of you that are going through hard times, I hope you find peace with it soon. I think the biggest help for me has been talking it out. Last week was a crazy one for me, some things sparked the bad again so the dreams started up again. Tony and I did a lot of talking and it definitely helped. If you are suffering, please find someone that will talk with you about it. I know it seems lonely and hard to deal with, but being able to get things out of your head really does help you through it. I'm here too! To add to the craziness of the week, we decided to rearrange a few things in the house which required painting Jay's room. He now has our furniture for his bedroom set and Tony and I are sleeping on twin beds on the floor in our room. UGH, not comfortable. We are now on the lookout for some new furniture. I'm a thrifty gal, so this means I've looked at more sites than I care to think about while listening to far too many episodes of Felicity than I care to divulge. I wish more tv shows felt like that show makes me feel. It's strangely relaxing. Anyway, the room is coming along. We bought some new bedding from Target (of course), but we still need to get some pictures on the wall for him. He has some prints picked out, so that will be next. It is so weird that Jay has a grown up room with no legos in it anymore. It's also weird that his room looks like an adult room while mine looks like a college apartment. Have I mentioned how much I hate spending money? What I do love is playing in the kitchen. I have been working with Tony on his diet lately. This has been a very interesting nutrition experiment. Yes, I normally feed him, but I think this has really helped him realize what he is eating and portion control. He eats healthy already, but understanding the details of what he's eating has been eye opening for him. Discussing how foods make him feel has been great as far as his diet goes. Protein definitely works better for him. I think his intestines are still damaged from celiac so we have gone back to more basics. It's also interesting to see what keeps him full for longer and what doesn't. We are completely opposite in so many ways with our diet. This has actually been a lot of fun working with him on this. I wanted to make something a little more fun for lunch on Sunday with our leftover pork roast. I had some time to play in the kitchen, so the adventure towards an Italian style sandwich was on it's way. 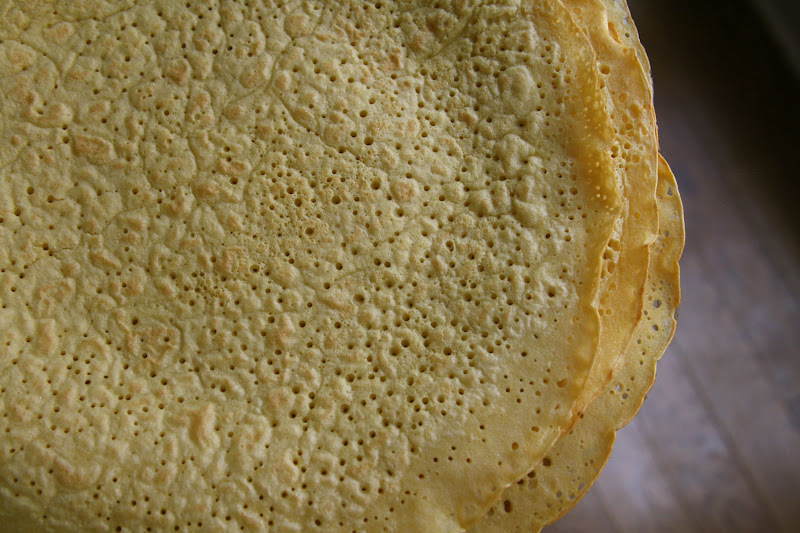 We all know about my deep addiction to socca and chickpea flour. This is where I wanted to start with my flatbread. 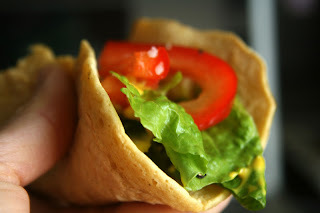 I was looking for something that was kind of like a tortilla and I was considering a wrap of some sort. 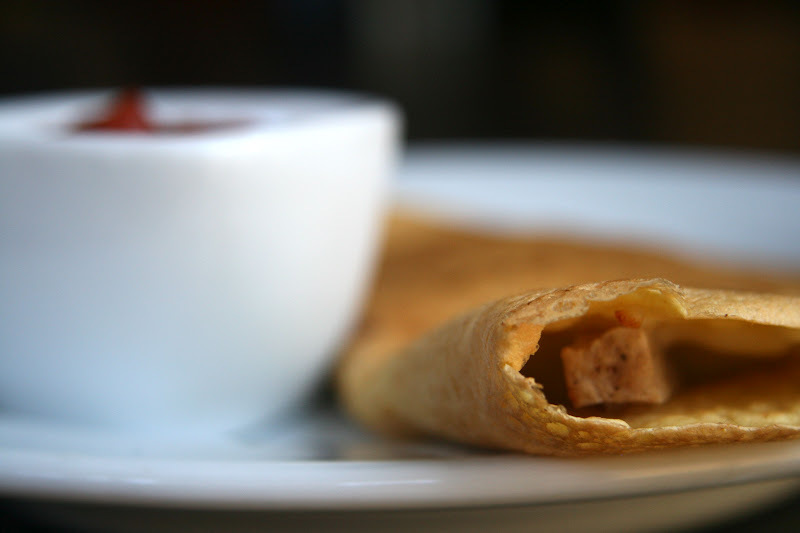 After talking with Jay about the options (I like talking about food with the boys so they help with ideas and feel a lot more involved) we came up with a toasted pork and pepper savory crepe with tomato sauce for dipping. Who doesn't love a sandwich you can dip? I went with a lentil burger wrap from mine. These were perfectly soft for wrapping around the stuffing and got super crispy when toasted. You have to eat them right away after you toast them or they will get soft again, but perfect fresh from the pan! Combine the water and chickpea flour in a glass bowl, mix well. Refrigerate for at least 2 hours or over night. After the flour has soaked, add the egg, baking powder and salt, whisk until completely combined. Heat a large nonstick skillet to medium high. Spray pan with a little olive oil and pour 1/2 cup batter into the hot pan. Swirl it around to coat the bottom of the pan. At this point you can make it as thick or thin as you like. When the crepe is slightly browned on the bottom, flip it over and brown the other side. 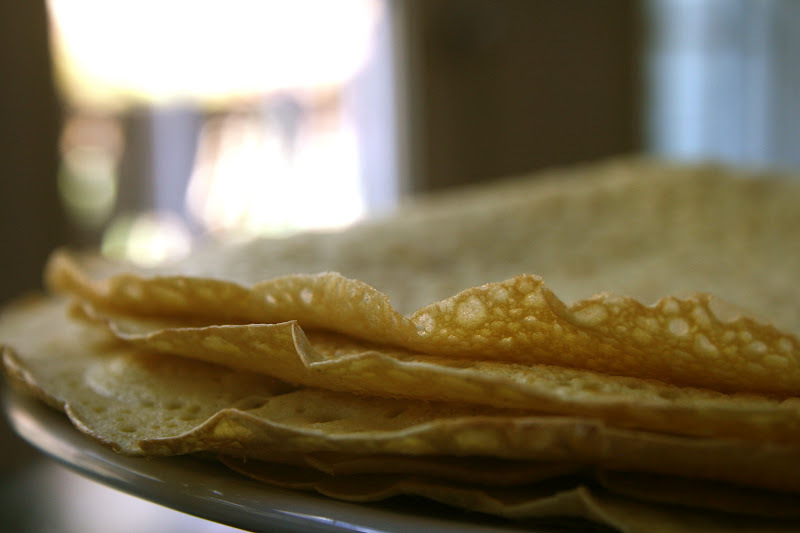 When both sides are cooked, remove the crepe onto a plate and continue cooking the rest of the batter. You can stack them one on top of the other when they are done. Use as a wrap or fill them and toast them in a skillet. 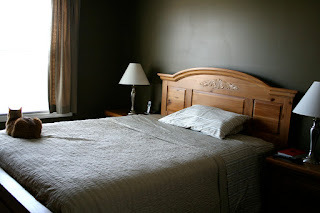 While I enjoy redecorating - well, I should rephrase and say I enjoy the end results. It always ends up being a bigger pain in the rear. Hopefully you can find a bed soon. And those crepes look amazing! haha, agree with heather. I like the end results. It can be tiring, but i'd do it for those crepes! Haha...I love decorating, but HATE spending the $$$. It's always worth it once you do it, though. It's so weird that Colin's room has my old furniture in it, too. He's not that grown up yet (in my mind, at least!). Wow, you did a great job on making those crepes super thin! Yes, dipping is good. I always find that when life is the craziest, I'm doing something in my house. I've been known to have to totally reorganize something random right before a support group meeting or when life is challening. There's something about the need for order in what we can control when much is going on that we cannot. ;-) Strangely, it works. Tony is your first "client"--woohoo! Dr. Peter Green, the celiac expert from Columbia U Celiac Center has said that adults diagnosed with celiac don't ever fully heal. I believe him. But I also think that what you are doing with Tony goes a LONG way to healing and resolving issues. Last, the three best ways too find great used furniture ... Freecycle, Craigslist, and telling all your friends and family. Often the latter is all you need to do. Someone has a great bed stashed away that they want to give away, sell, etc. It's waiting for you. ;-) I've bought new furniture before and it's alway painful to me and NEVER worth all the money. Those look yummy! 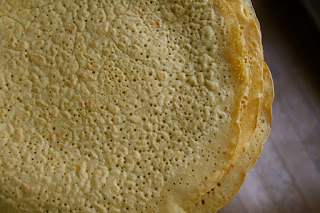 I bet the chickpea flour tastes divine as crepes! Oh my gosh, I can't believe you mentioned felicity.... I loved that show when it was on, and I bought the soundtrack way back then. I just found it about 6 months ago and popped it in the cd player in our infrared sauna. At first, joe was like, "what is that cd? I don't think I like it." And now...both of us love it so much. I just go in the sauna and listen to the whole thing and feel totally relaxed. I need to start watching the shows again too! I'm horrendous at decorating and re-decorating and everything in between. I spend too much money on furniture and then I don't accessorize.... haha. So easy, and my chickpea flour shipment from Amazon just arrived. Thanks Sarena! Your sons room looks more adult than my apartment. I need to get my life together! we have some house stuff that we are about to do, have a lot of packing and cleaning to here soon. doing everything can be a pain, but when it is all over it is a wonderful feeling! These crepes sound so delicious! And I have to say, how nice of you to give up your furniture before you got new for yourself! This sounds yummy indeed. It is also a lot like besan chilla made in Western India. 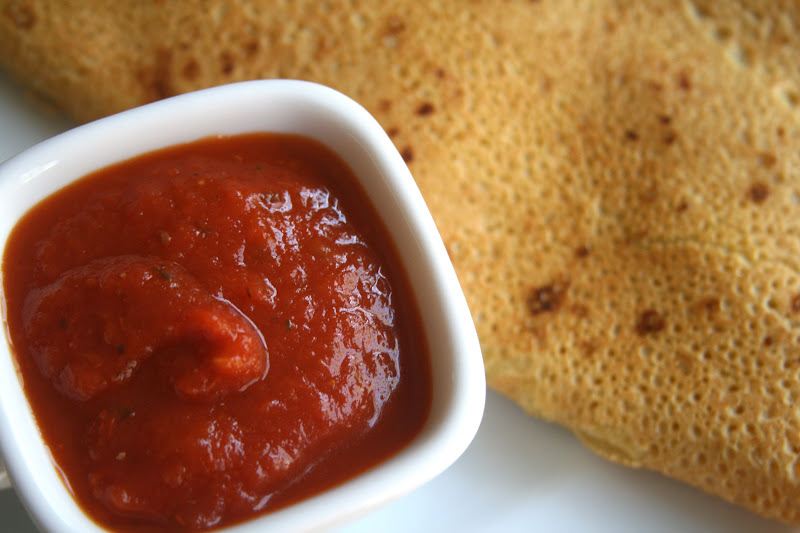 Chilla is made from chickpea flour and onions, tomatoes, chillies and cumin are added to the batter. It does not contain eggs and is called the vegetarian omelette. It is usually a breakfast dish.